What a swell party that was! 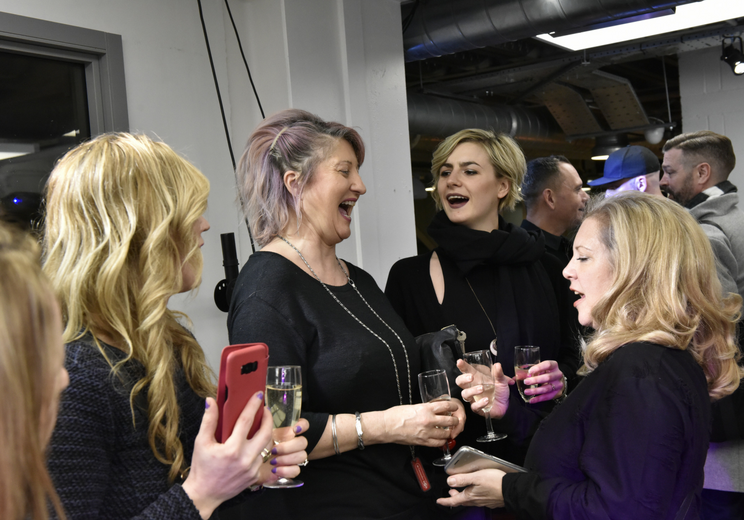 At the Rush Academy in London last night we welcomed many guests. 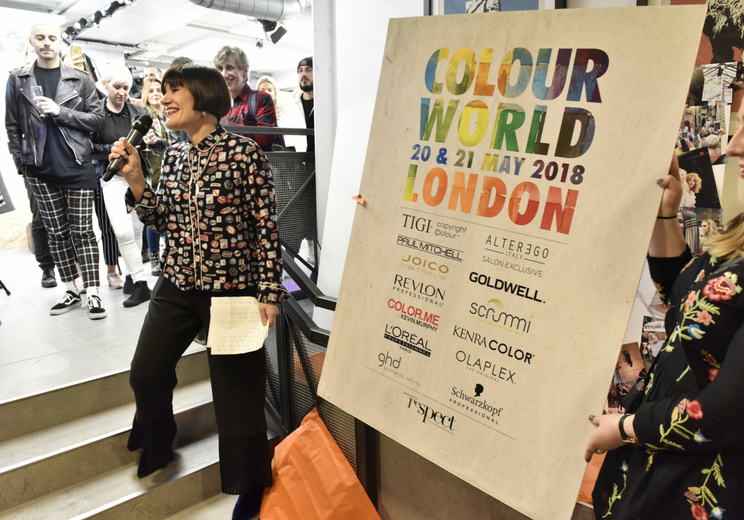 These included friends and also colleagues to celebrate the official launch of our Colour World 2018 event. This coming May is going to be a massive jump up from last year. 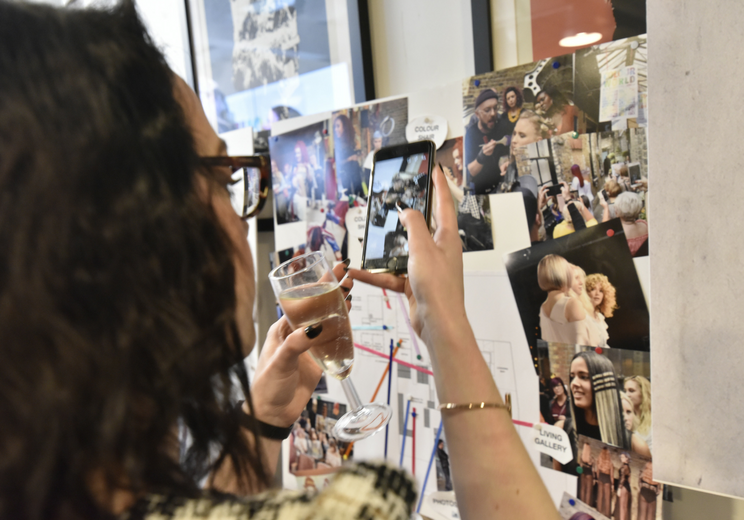 (Don’t worry, same concept, same vibe). 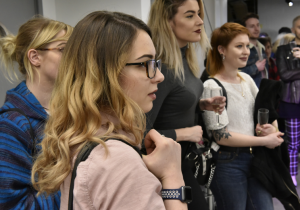 As we’re growing by 40%. 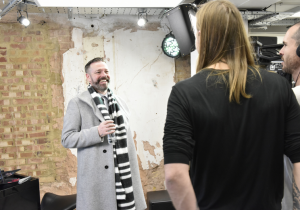 We are taking the film studio next door to MC Motors as well in order to pack in more of everyone and everything! Our party was the platform to announce all our news. We are adding education as well as entertainment. Especially to reveal the line up of amazing sponsors we have this year. Especially because we have all the big brands supporting this festival of colour. 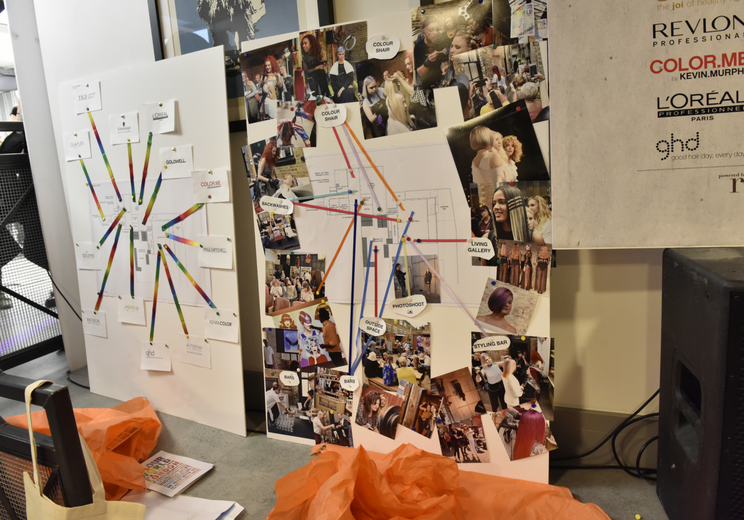 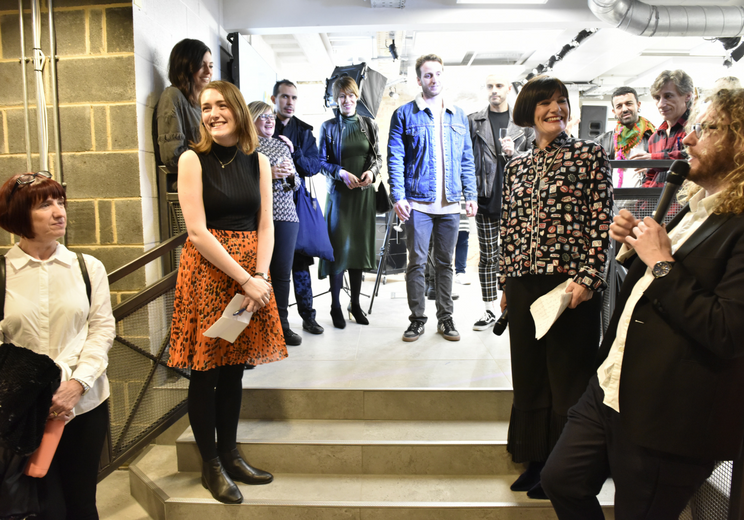 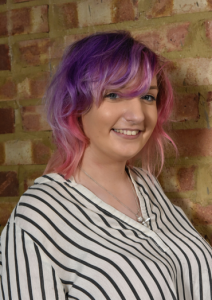 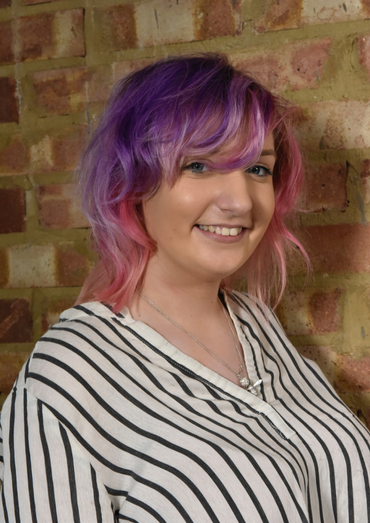 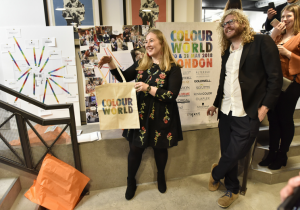 Nicky, Lilly, Sorcha and also Molly aka the Colour World team – introduced the lucky 13 big brands who now feature on the poster… and we know there will be more to come. 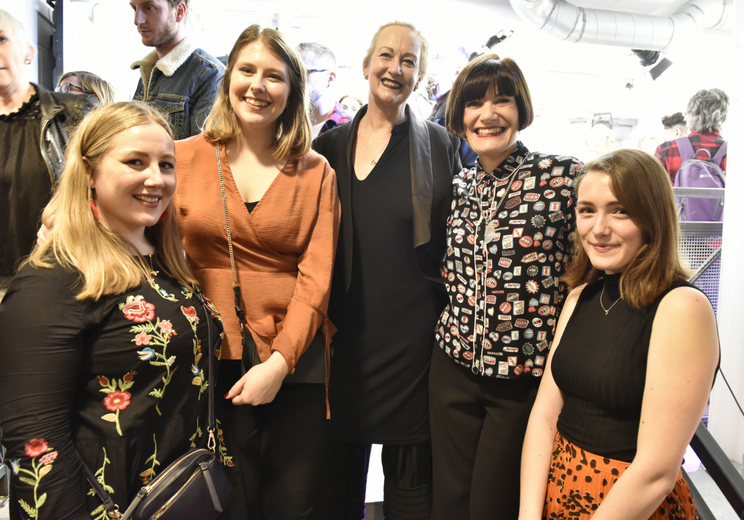 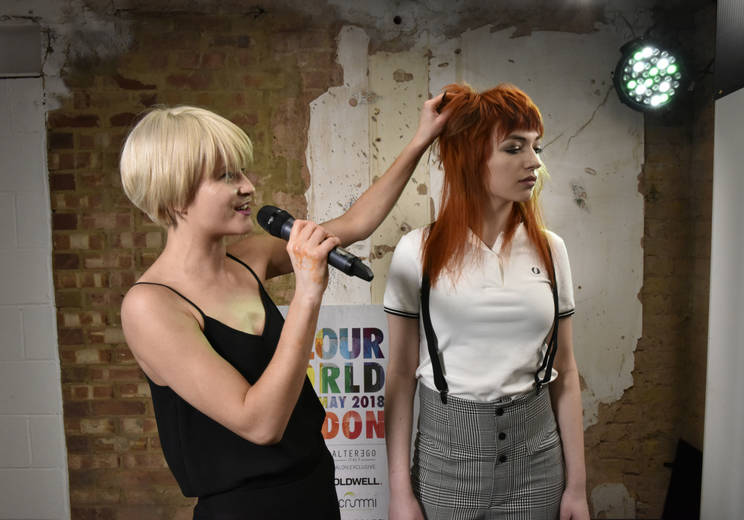 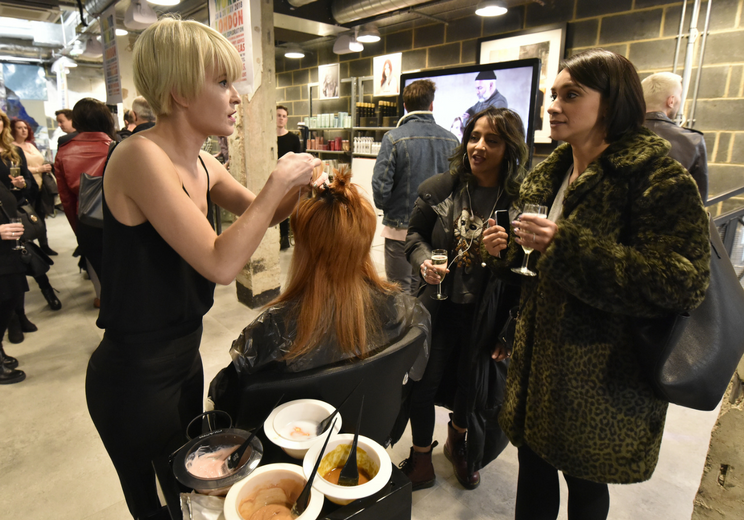 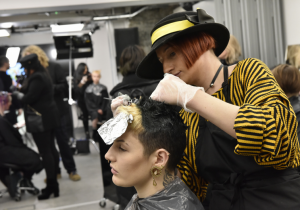 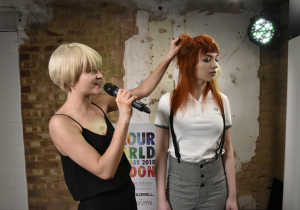 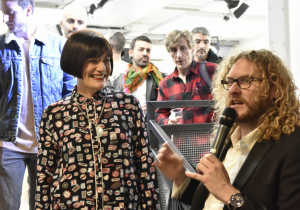 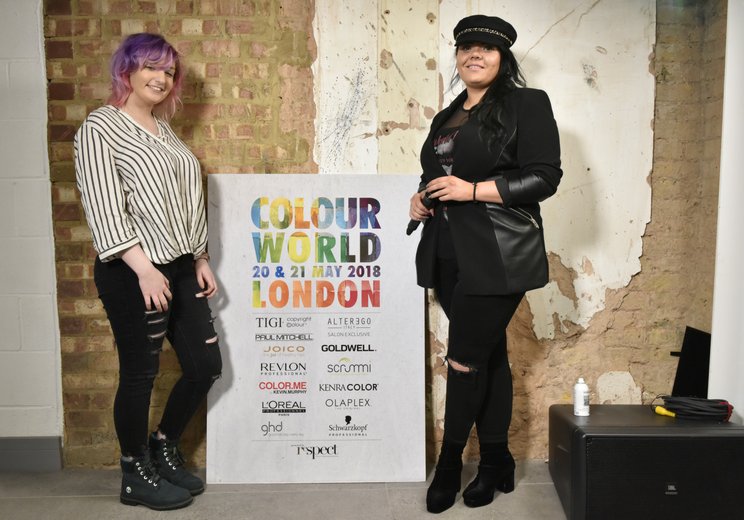 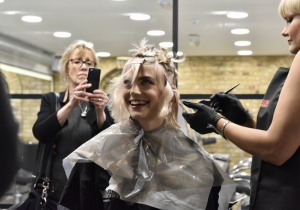 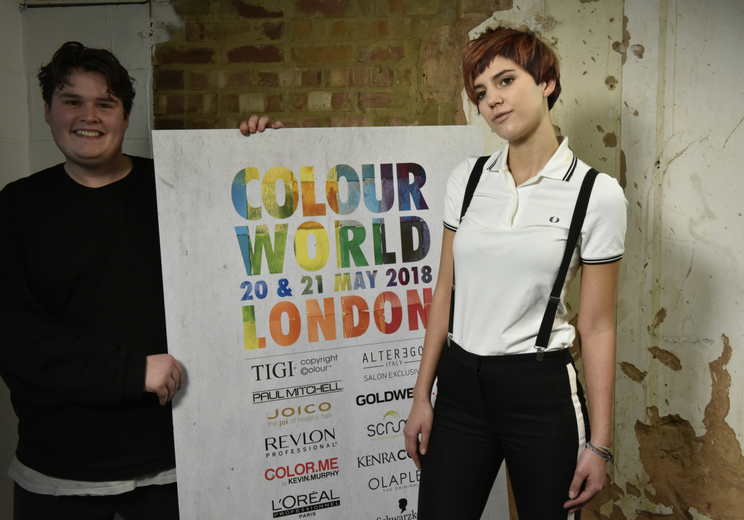 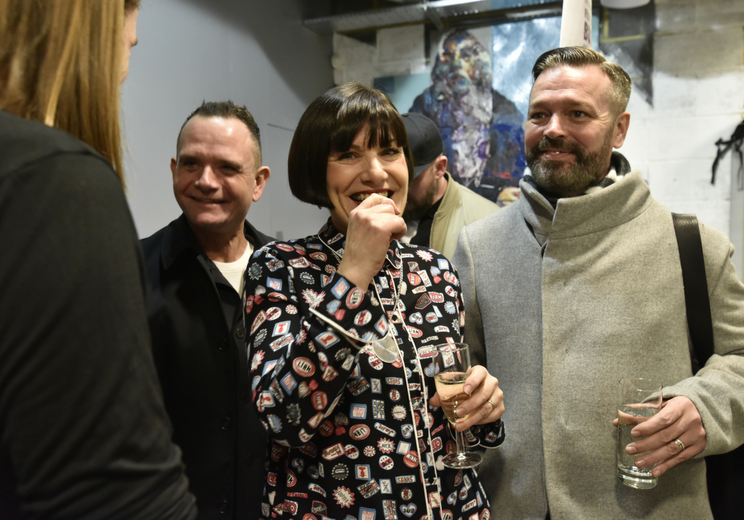 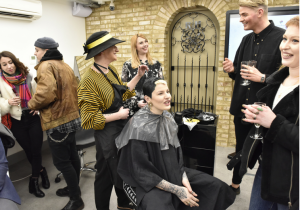 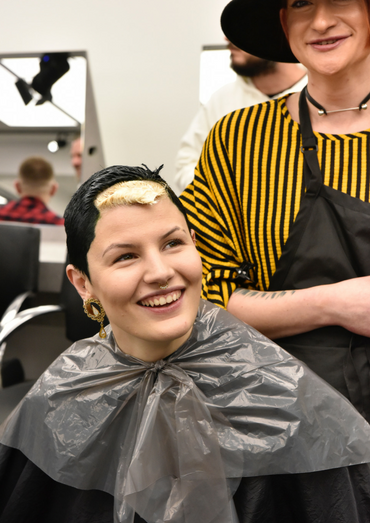 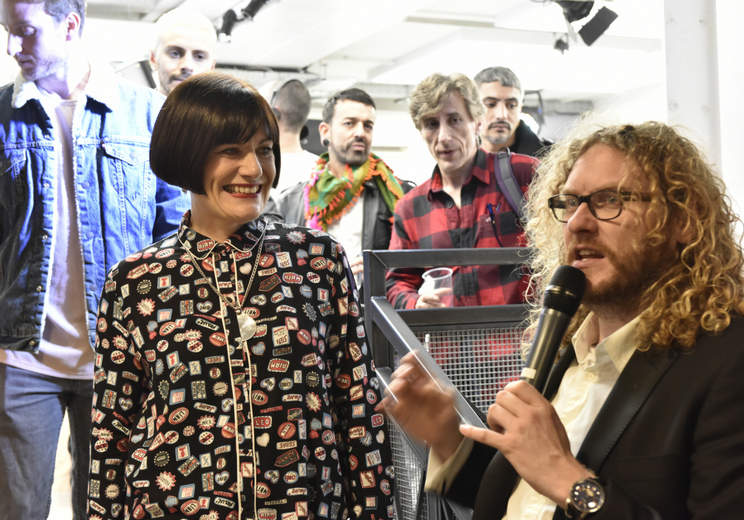 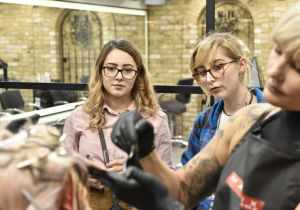 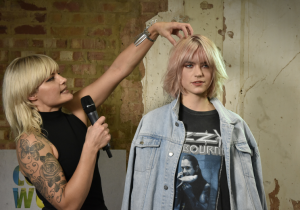 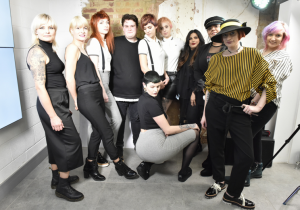 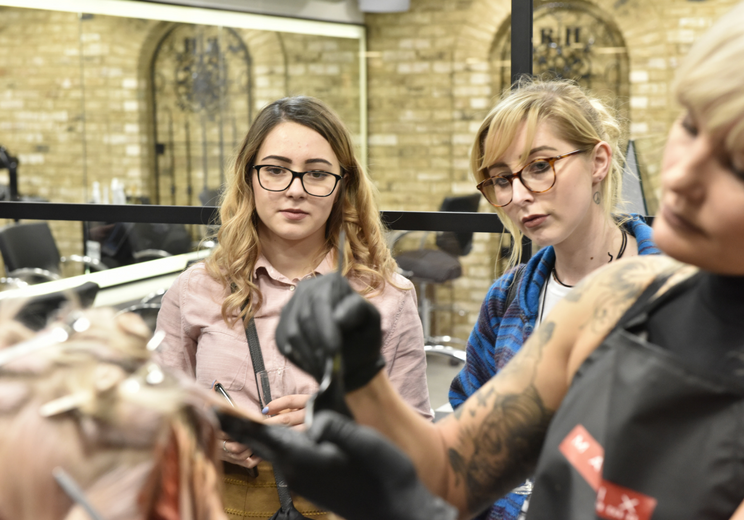 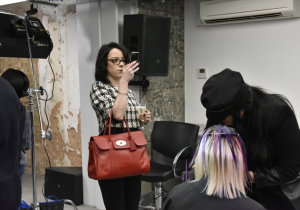 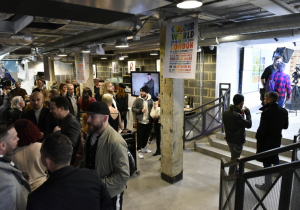 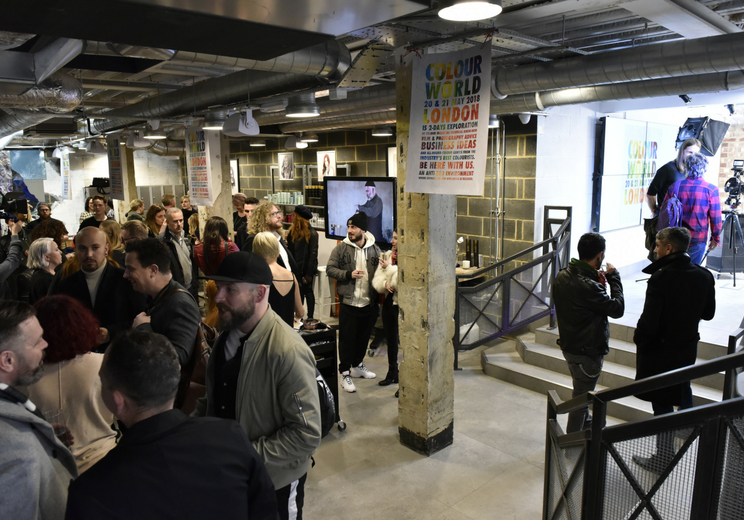 As well as the chance to share enthusiasm and several bottles of fizz, we also invited several colourists to demo their work in the style of our Colour SHair that takes place at Colour World. 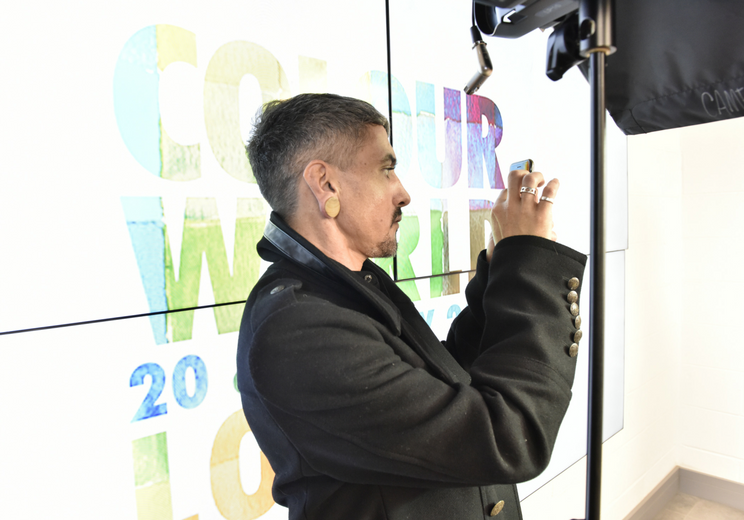 It’s this opportunity to stand up close and therefore ask questions that marks Colour World as a special event – at all times, you can really see what a colourist is working on. THANKS to everyone who helped. 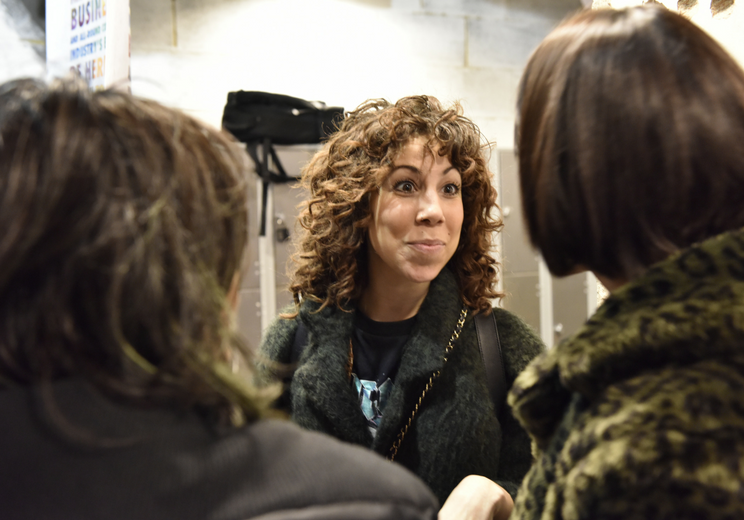 And a high five to Rush Academy for being the most amazing hosts yet. Browse our gallery below and catch the excitement. Then please also keep checking back in with us here. 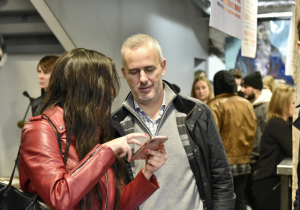 Every few days we’ll have more information and notice from our sponsors on what they’ll be bringing. NB to buy tickets, CLICK HERE … Scroll down for more info! 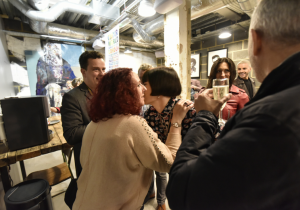 AND THANKS to photographer David Hindley for all these great photographs! 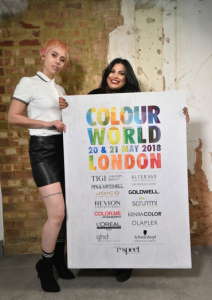 At Colour World UK we believe in colourists being equally important as hairdressers to the success of a salon business! 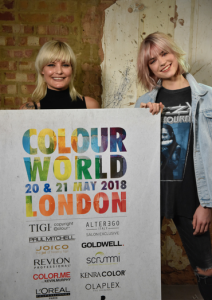 Clients deserve excellent colour services, while embracing the importance of a great colour consultation through to end result. 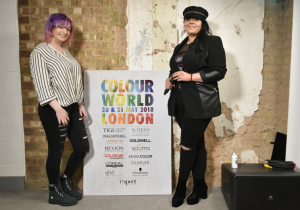 Furthermore, we salute manufacturers and brands offering a great product innovation which enable colour technicians to explore their creativity and offer a bespoke colour to every client. 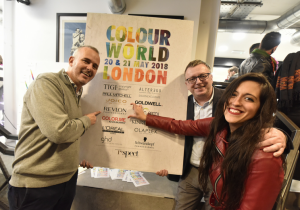 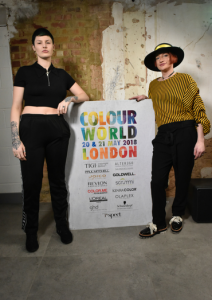 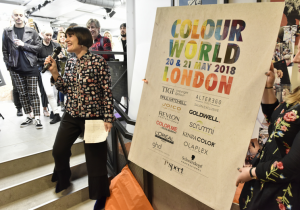 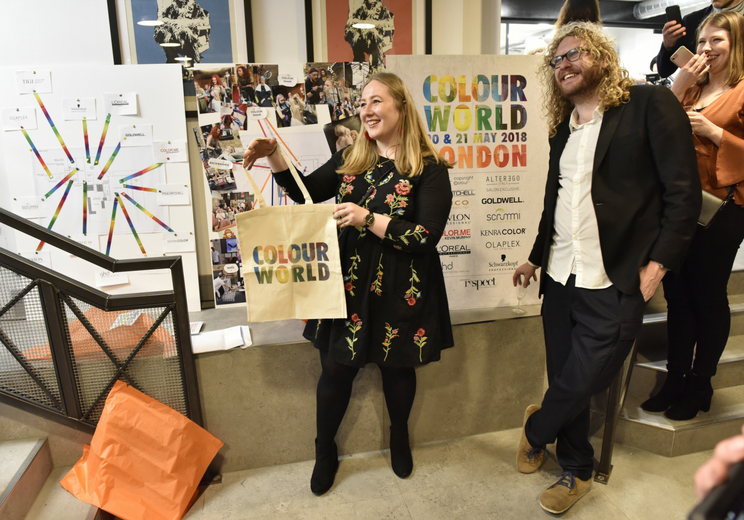 We offer colour conversation as well as inspiration for you to browse, and respect colour-focused education and events from what’s on and where, to our own Colour World UK event 2018 which support our industry and promise to do our best to bring you news and information to help you succeed.